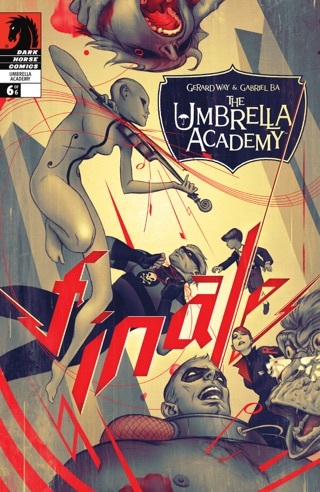 "Once, the Umbrella Academy was unstoppable. 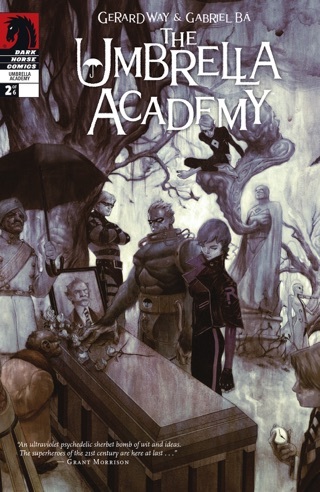 Under the tutelage of their guardian and mentor, Dr. Reginald Hargreeves, its members spent their childhoods fighting evil and honing their extraordinary gifts. 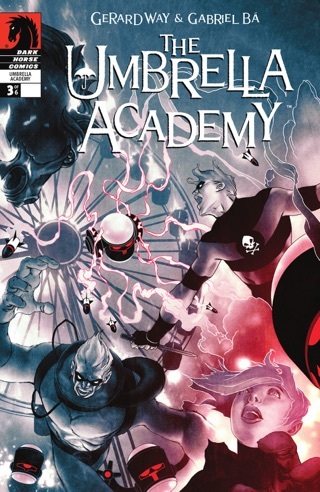 Now, nine years later, the estranged members of the Umbrella Academy are reunited by the death of the only parent they've ever known and the rise of a new and terrible threat. 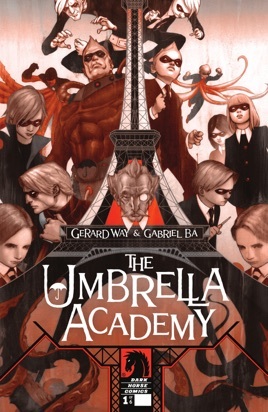 Will they be able to overcome their history for long enough to save the world—one more time? 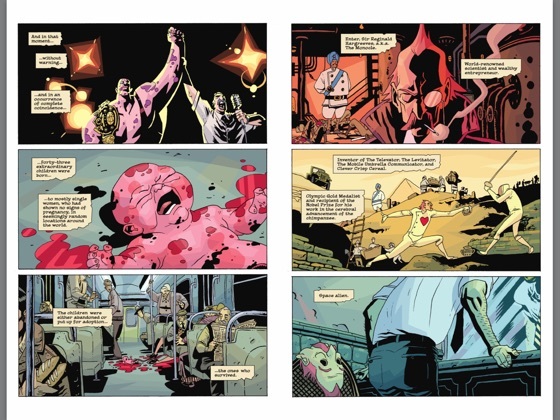 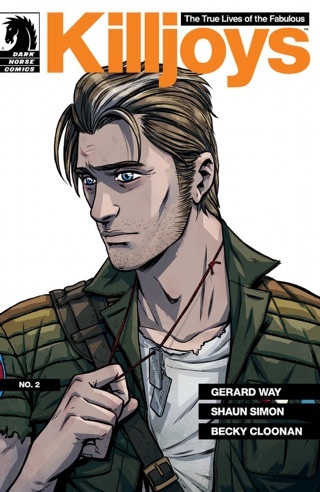 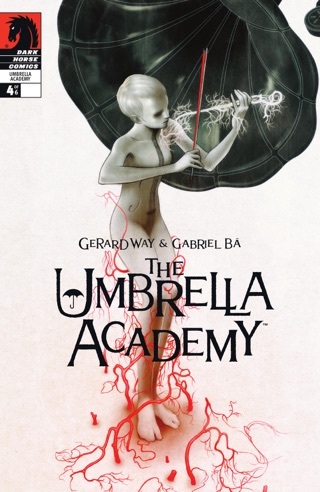 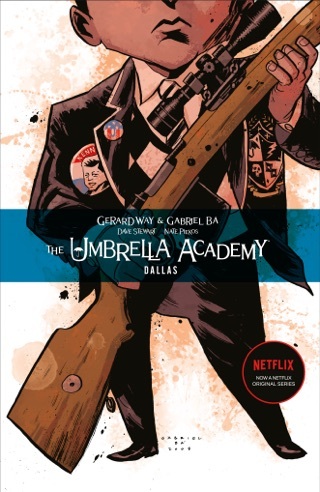 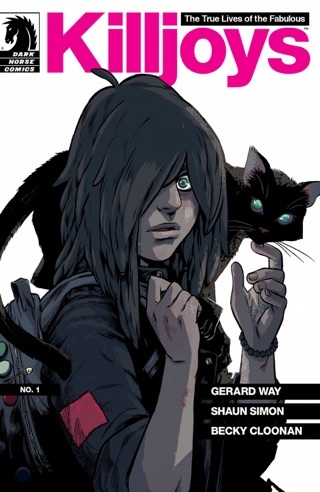 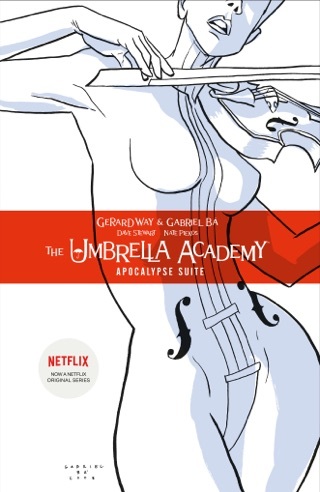 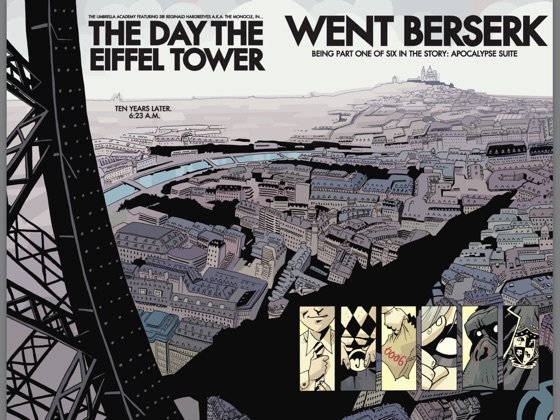 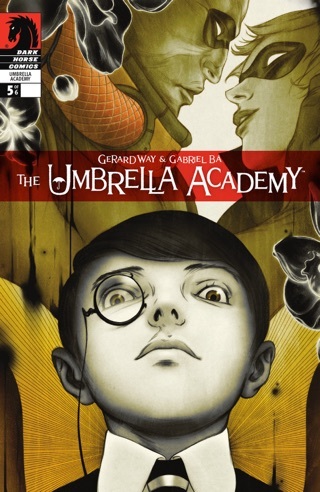 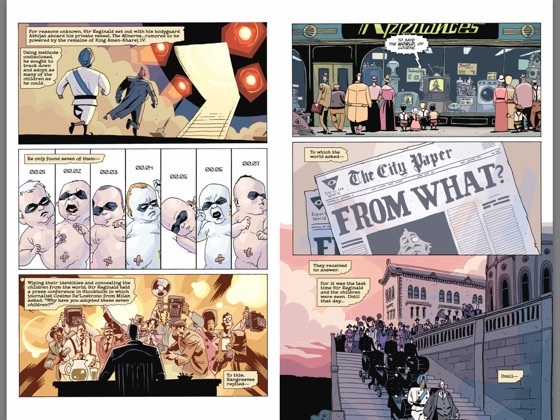 Conceived and written by Gerard Way of My Chemical Romance, The Umbrella Academy features interior art by Eisner Award-winning artist Gabriel Bá (De:Tales), colors by Eisner Award-winning colorist Dave Stewart, and covers by multiple Eisner Award-winning painter James Jean (Fables). 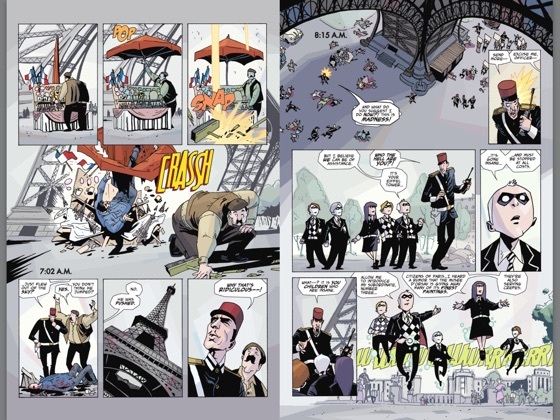 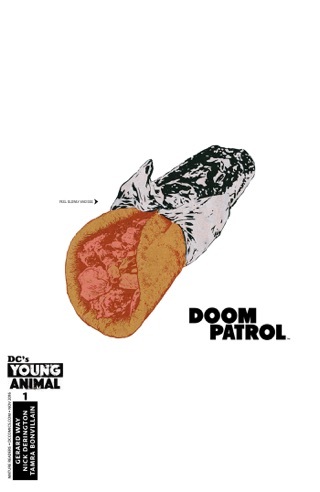 • 2008 Eisner Award winner—Best Limited Series and Best Cover Artist!"